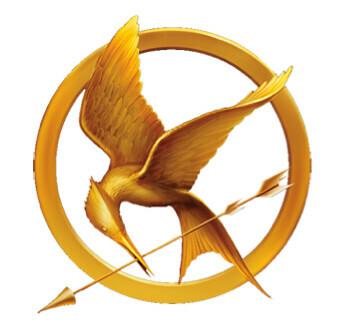 How does everyone like The Hunger Games so far? I have to admit that I’ve been so enthralled I already read past Part 1! I suppose it’s safe to say it’s a real page-tuner. Nevertheless, today’s Book Club Q&A will focus on Part 1 of the book. Why do you think Katniss holds so much resentment towards her mother? Do you think Peeta is really friend or foe to Katniss? My favorite character is Katniss (I’m sure that is the popular answer). I like that while she is a guarded person, as the reader we are allowed a unique view into her thoughts. I think Katniss resented her mother because she has been forced to take over her role as care taker. Her mother seems emotionally unstable and unable to care for her children while Katniss is much more logical and isn’t controlled by her emotions. I think whether Peeta is a friend or foe is unclear at this point. The story from their past where he gives Katniss the bread indicated that he is a kind person so I want to believe he is a friend. However, the circumstances are difficult and might change their relationship. Also, our Live Book Chat will be on December 19th at 4pm PST, so mark your calendar and be sure to finish reading the book by then! During my Book Chat you will have the opportunity to talk directly with me about the book. It’s very fun! I’ll provide more details soon. Book Club: Our LIVE Chat on The Hunger Games Starts Now!